Taking proper care of your flowers is essential to ensure their longevity. But with so many delicate flowers, it can be hard to know how to properly take care of different varieties. To help with this, we created a Flower Care Guide to share our best tips and tricks of taking care of some of the more delicate varieties. Utilize this guide when prepping and processing your flowers to ensure your blooms are fresh for every arrangement or event! 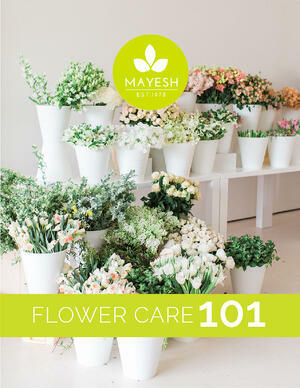 Fill out the form to download The Mayesh Flower Care Guide!